The Fraser-Winter Park Police closed a section of Highway 40 in downtown Winter Park at around 1:30 p.m. today after a trucker carrying dirt spilled a portion of its haul on the road. 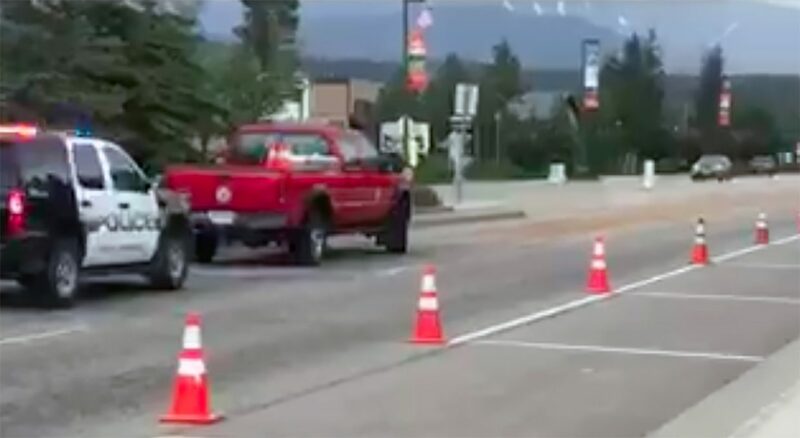 The spill, heading east-bound in front of the new Sitzmark properties, temporarily closed down both lanes, forcing drivers to the side of the road to pass. Nearly 70 yards of dirt blanketed the road. Both lanes were reopened just before 2:30 p.m. Despite the closure, traffic congestion was minimal and the area has since been cleaned by crews using a street sweeper.